Every screen of your website should help tell the story of your company and why it exists. Colors, phrases, shapes and symbols are all highly effective ways to communicate what your brand is about. Truly great business websites have complete continuity of graphic design on every screen, with copy that expresses their unique voice in the marketplace. When visitors encounter your website, what do they immediately know about your brand? Once they move on, what will they remember? Are you prepared for the ROBO economy? That's "Research Online, Buy Offline." A recent study showed that 82% of smartphone users (and that's at least 95% of us according to Pew Research) will do a bit of online poking around before they commit to an in-store purchase. Does your online branding create a top-of-mind awareness for your potential buyers? Search Engine Optimization is another important reason for redesign. If you haven't followed all the latest best practices in crafting your website's structure and text, you aren't ranking as high in Google searches for people who are looking for you. Searchers can't be aware of you if you don’t appear on their screen when they type or speak a search phrase into their phone. Google continues to drive business websites to relevance. They know that if they don’t consistently provide the most relevant links to searchers, their day is done. Indexing algorithms are smarter than ever and with the onset of Artificial Intelligence engines, can tell if your site's content is well written, informative and germane to a topic that is being searched. Including a few key words and phrases is not enough anymore. Search engines also pay attention to the architecture of the site as well. That's why there's been a scramble among website purveyors to adopt a "cornerstone content" approach that organizes material in a research friendly manner that gives a better user experience. Does every page of your site have a next step opportunity? 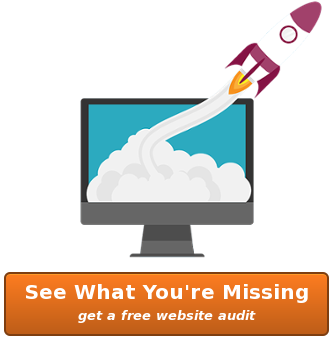 If not, you are missing out on leads that your website can generate without you doing anything! Calls to action, landing pages and offers can work as part of your sales funnel- filtered leads will give you their contact information on their own initiative if your site is designed for it. Attach a CRM (Customer Relationship Management) platform and you have a powerful automated system that does follow up and lead nurturing for you. Speaking of nurturing prospects, your redesigned website can do that too! It's the central location that your printed material and other advertising points to, so consider what questions your prospects are asking as they visit. Answer them right up front without a lot of clicking and you've brought a potential buyer a couple of steps closer to a deal. Encouraging them to subscribe to a regular email or notifications when new blogs are published and you've got a follower. Integrate your website with your social media feeds and you have a strong presence in the marketplace that is hard to ignore. Chatbots are a relative newcomer to today's websites, but can provide a powerful link between a buyer's "just looking" and actually engaging you with conversation. Customer portals for their accounts or documents they need are another feature that can give you the edge over a competitor that doesn't offer quick, easy to find solutions. Social media has proven to be a goldmine for word-of-mouth promotion. Businesses that are responsive and winsome in their conversations with an online audience continue to win popularity contests. More companies are using social media channels for customer service as well. At United WebWorks, our bottom line is that you don't really want a website, you want MORE BUSINESS. A well-designed website is only one weapon in your marketing arsenal that will take your enterprise to the next level. We can help you get there with a website redesign your customers will love! Click over to our contact page to start the conversation.